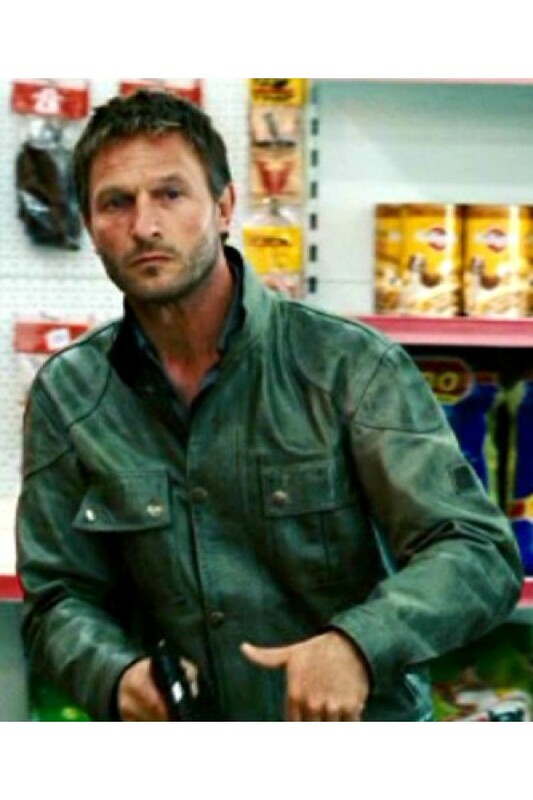 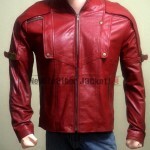 This is an inspired reproduction of the famous Jacket worn by James McAvoy (Wesley) in his movie "Wanted" very stylish and very elegant. 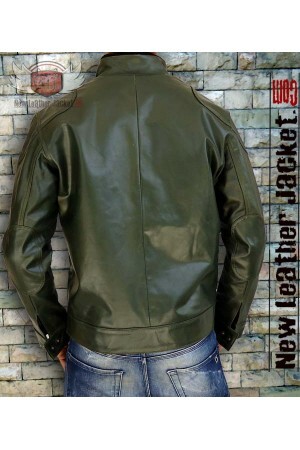 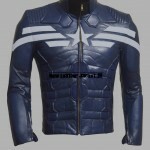 Special attention has been paid to details of this motorcycle jacket to look like orignal. 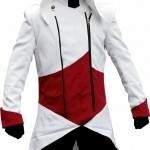 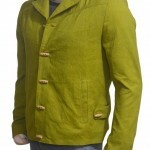 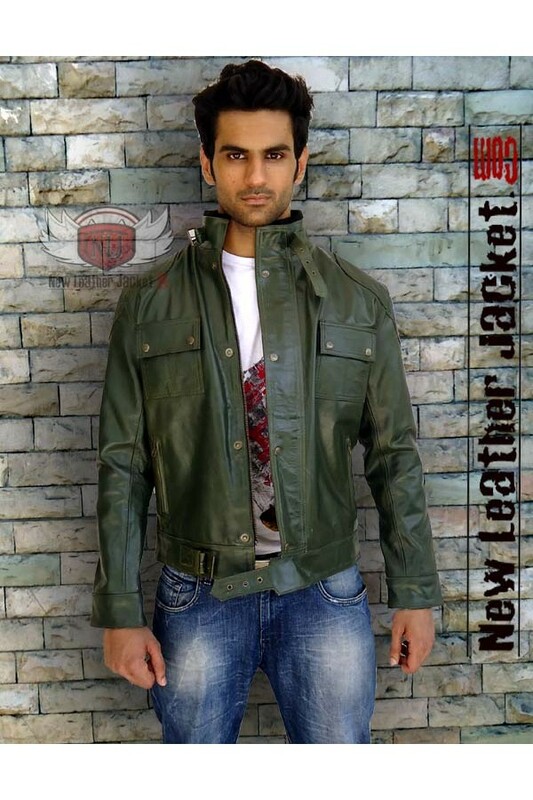 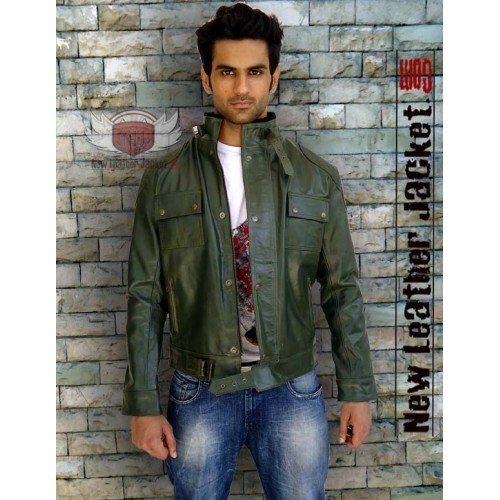 This is an exclusive jacket which gives you an eye catching look. This Military look jacket gives you tough looks and protects you in case of collision because of thick and Supreme quality COW HIDE leather. 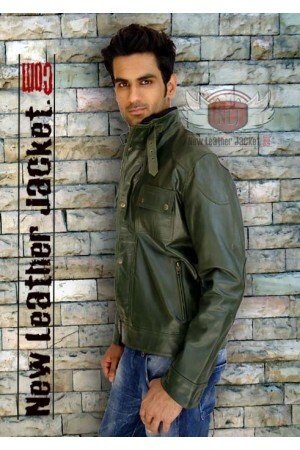 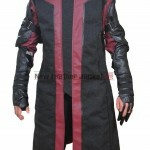 Open collar with small buckle and black color rib is stitched inside of collar and jacket has zip covered by flap with four button's on top. Two zip pockets on waist length and two flag pockets on chest.